EVANS MILLS, NY (September 16, 2018) – A solid of showing of 18 Oswego Small Block Supermodifieds were on hand on a warm September afternoon at the Evans Mills Speedway this past Sunday, and it was 2018 Oswego Speedway track champion Anthony Losurdo leading green to checkered for victory in the Missile Motorsports No. 1 ahead of teammate David LaTulip who finished runner up with the No. 00. Losurdo lead the main event to green alongside Greg O’Connor, and right away it was Losurdo taking the top spot ahead of O’Connor, Brad Haynes, Tim Proud, and Jack Patrick in the top five. Unfortunately for O’Connor, his strong run ended on lap 12 when the No. 90 went around coming out of turn two, moving Haynes into second and Proud into third. On the restart, Proud dove under Haynes to take the second spot, but a yellow flag for a spinning Josh Sokolic slowed the field once again. The next restart showed that the bottom was indeed the place to be as Losurdo would again get the jump, with Haynes finding his way back under Proud to take second and LaTulip filled the gap as well to move into third. Another pause two laps later for Steve Flack slowing on the turn 1 entrance ramp re-stacked the field, and that proved to be trouble for the No. 27 of Jon Tesoriero and the No. 97 of Vern LaFave. LaFave, Tesoriero and Jesse Bearup all got together down the frontstretch just prior to the halfway point. Tesoriero was forced to go tail side with LaFave’s day coming to an end with heavy damage sustained to the track owner’s ride. Bearup also drove the No. 37 to the hauler. Finally, another long green flag run began when the field stormed back down the fronstretch on lap 22, with Losurdo inserting the lead ahead of LaTulip, Haynes, Proud, and 2017 Fall Brawl champion Dave Cliff in the top five. Despite one more caution flag for a spinning Mike Bruce with 15 laps to go, Losurdo was able to run away unchallenged as he picked up his second series win of the season at the Mills ahead of LaTulip, Haynes, Proud and Cliff in the top five. Russ Bartlett, Patrick, Tesoriero, Rob Pullen, and Travis Bartlett completed the on track running order. Bruce, Cameron Black, Bearup, LaFave, O’Connor, Flack, Sokolic, and rookie Brian Langer all finished their evenings in the pit area. Cam’s NY Pizzeria heat race winners were Losurdo, Proud, and Patrick. 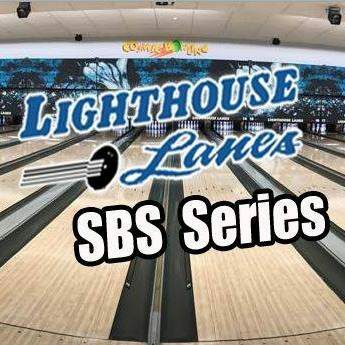 Stay tuned to LighthouseLanesSBSSeries.com, LIKE on Facebook at Facebook.com/LHLSBSupers or FOLLOW on Twitter @LHLSBSupers for updates on the 2019 season schedule for the Lighthouse Lanes SBS Series. About the Lighthouse Lanes SBS Series: The Lighthouse Lanes SBS Series is a northeast Small Block Supermodified touring club showcasing the stars and cars of Oswego Speedway’s Pathfinder Bank SBS division. 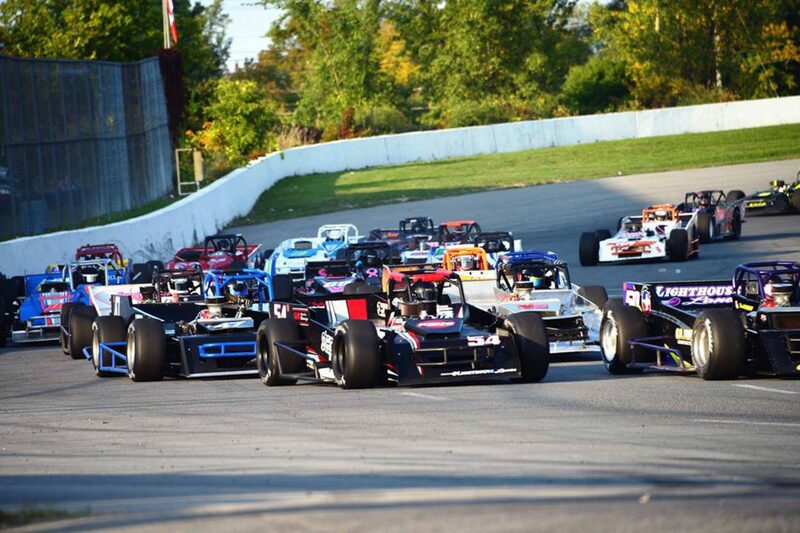 Formed in the spring of 2017 by drivers Mike Bruce and Camden Proud in conjunction with Bob Hoefer at Lighthouse Lanes in Oswego, NY, the series was a three race venture in 2018 and is made possible by the support of Lighthouse Lanes, Cam’s NY Pizzeria, as well as the dedicated team owners, drivers, and fans of Small Block Supermodified racing. WILLIAMSON, NY (June 29, 2018) – Dave Cliff, the defending Pathfinder Bank SBS track champion at Oswego Speedway, drove Tim Barbeau’s No. 50 to his second victory in three events with the Lighthouse Lanes Small Block Supermodified Series this past Friday night at Spencer Speedway. In the division’s first appearance at Spencer since 2009, the main event lineup for the evening was based off of a redraw following the 10-lap qualifier won earlier in the program by Dalton Doyle. The results of the redraw saw veteran Barry Kingsley pull the pole with Doyle lining up on the outside of the front row while Cliff and Cameron Black fired from row to for the 25-lap feature. On the initial start, Doyle jumped to the lead from the outside part of the speedway with Cliff grabbing the runner up position almost right away. Early on it appeared as if Doyle would lead for the duration, but the No. 01 machine got a little bit too tight approaching the halfway point, allowing Cliff to close in and eventually make a low side move for the lead going into the third corner on lap 14. Five laps after passing Doyle for the lead, Cliff had caught lapped traffic, but that was only until the lone caution flag of the race was put in the air when Mike Bruce lost the handle on the No. 22 while working on Kingsley for the third spot. Bruce had driven from last to fourth, but in a rather frightening incident, the president of the series instead found himself sliding through the grass and catching air time on one of the infield tire mounds. Bruce was unhurt and escaped with little damage. Despite lining up double file for the restart with only six laps remaining, Cliff was able to hold off any challenges and walk away with the victory worth $500; his second with the series after dominating the ‘Fall Brawl’ at Evans Mills Speedway last September. With Cliff taking the win, Doyle remained in second, Kingsley third, and rookie Joshua Sokolic capitalized on the caution flag to get up to the fourth spot with Greg O’Connor in fifth, Cameron Black in sixth, and Bruce rounding out the field in seventh. The next event for the Lighthouse Lanes SBS Series will take place in just over two months when the Small Blocks return to the Evans Mills Speedway on Sunday, September 16 for the second annual ‘Fall Brawl 50’ in the North Country.